Vaults are required at all of the Redemptorist Cemeteries. Vaults prevent the ground from sinking and protect your loved one. They are available in the most basic, to the elaborate copper lined. Vaults may be purchased pre-need or at the time of death. Your Family Service Associate will help you decide what is right for you and your family. 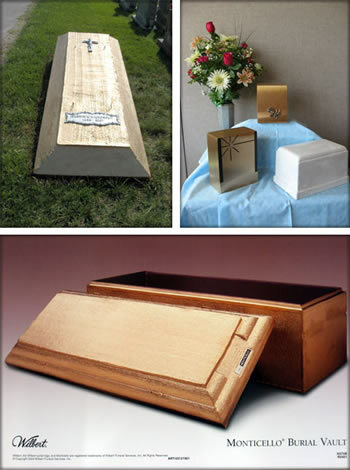 An urn vault is also required for the burial of cremated remains. These are available from our office at competitive prices.